Today I found out why flavored carbonated beverages are called “soft drinks”. It turns out, soft drinks aren’t just flavored carbonated beverages. “Soft Drink” refers to nearly all beverages that do not contain significant amounts of alcohol (hard drinks). The term “soft drink” though is now typically used exclusively for flavored carbonated beverages. This is actually due to advertising. Flavored carbonated beverage makers were having a hard time creating national advertisements due to the fact that what you call their product varies from place to place. For instance, in parts of the United States and Canada, flavored carbonated beverages are referred to as “pop”; in other parts “soda”; in yet other parts “coke”; and there are a variety of other names commonly used as well. Then if we go international with the advertisements, in England these drinks are called “fizzy drinks”; in Ireland sometimes “minerals”. To account for the fact that they can’t refer to their product in the generic sense on national advertisements, because of these varied terms, these manufactures have chosen the term “soft drink” to be more or less a universal term for flavored carbonated beverages. Interestingly, according to a study done in 2006, most carbonated “soft” drinks actually do contain a little alcohol. In older methods of introducing the CO2 to the drink, this was resulting from natural fermentation, similar to how most beer gets its alcohol. However, with modern methods of introducing CO2 to the drink, this is not an issue; yet measurable amounts of alcohol remain. This is due to the fermentation of sugars in the non-sterile environment of the drink. In some types of soda-pop, additional alcohol is also introduced due to the fact that alcohol is used in the preparation of some of the flavor extracts. However, before anyone starts campaigning to make soda-pop illegal for kids due to the alcohol content, it should be noted that a typical container of yogurt of similar volume to some amount of soda-pop, will contain about 2 times the amount of alcohol over the amount in the soda-pop. *Note: this article was by request. If there is anything you’d like to know, feel free to send me an email and if I think it’s something worth doing an article on, I’ll do the research for you and write an article on it. In ancient cultures, people believed that bathing and drinking mineral waters from springs, which were naturally carbonated, could cure many diseases. As such, scientists and inventors sought ways to artificially produce these mineral waters. Artificially produced carbonated beverages get their start from this; the first carbonated beverages were just non-flavored carbonated water sold as mineral water tonics. The first flavored carbonated drinks were created in the United States in 1807 by Townsend Speakman. The purpose of adding flavor wasn’t just to make it taste better, but also to improve on the supposed natural curative properties of mineral water. 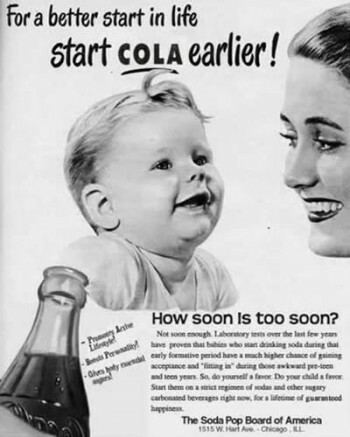 Popular ingredients to add were birch bark, dandelions, ginger, lemon, coca, and kola (the latter two combined ended up producing Coca-Cola, which was originally formulated by Dr. John Styth Pemberton and first sold on May 8th, 1886). The father of the soft drink industry is generally held to be German-Swiss jeweler Jacob Schweppe, who was the first large-scale producer of aerated water around 1783. Although, there were many before him that produced aerated water, such as William Brownrigg from England, who created the first artificial mineral water in 1741. Over 1500 types of cork and other bottle stopper patents were filed to attempt to stop aerated drinks from losing their carbonation too quickly. 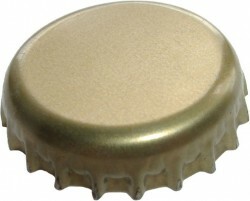 Finally, in 1891, in the United States, William Painter invented the “crown cork”, which gave the first truly effective, mass producible, way to stop the carbonation from escaping from bottled carbonated drinks. This allowed, for the first time, people to buy carbonated beverages they could store at home. However, at the time of this invention, glass bottles had to be made by hand by glass blowers. This changed in 1899 with the invention of an automatic glass blowing machine which, in a very short span, increased annual glass bottle production from about 1500 bottles a day to 57,000 bottles a day in the United States. This further drove down the price and helped popularize bottled carbonated drinks. Glass bottles make significantly better containers for carbonated beverages due to the fact that air can diffuse through plastic, allowing the CO2 to escape. Thus, carbonated beverages stored in plastic containers have a much shorter shelf life than their glass counterparts. The first mass produced, non-tea/coffee, soft drinks were non-carbonated, appearing popularly around the 17th century. The most popular of these were made from water, lemon juice, and honey. At one time, in France, a company was given a monopoly for selling this lemonade concoction to thirsty Parisians. The sellers would literally walk around with cups and small tanks on their backs and sell this non-alcoholic flavored drink to anyone who wanted it. Almost all of the food energy in soda-pop is from refined cane sugar or corn syrup. Each serving of a typical carbonated soft drink contains more than the recommended daily allotment of sugars. How Much CO2 is in a Bottle of Soda? why do we always say o’clock when asking or telling somebody what time it is ? @dirt: Great questions. I’ll add it to the list. Thanks!